Included below are homes for sale in Maplewood, NJ, in Essex county. These Maplewood NJ real estate listings are updated daily from the Garden State MLS (GSMLS). 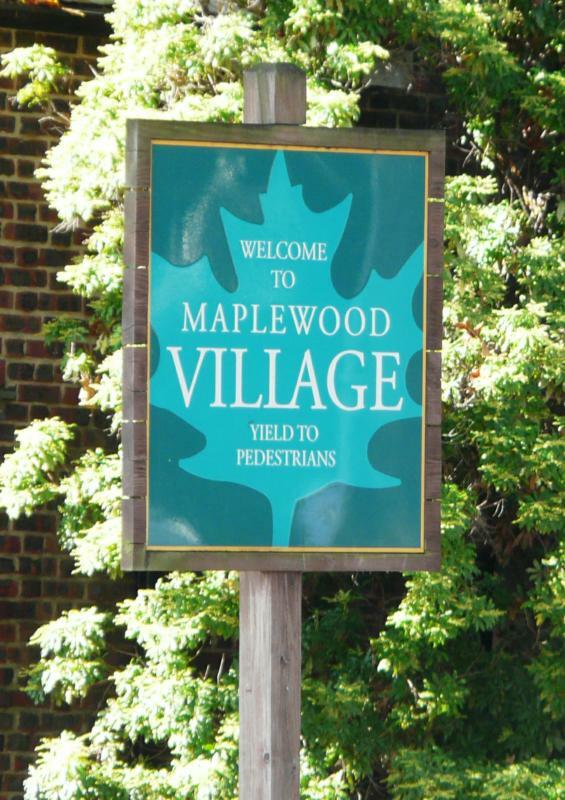 Located in the western part of Essex County, Maplewood is a bustling community that offers easy commuter access to New York City, whether it be by car (30 minutes to the Lincoln Tunnel) or train (30 minutes on a NJ Transit Midtown Direct express train). Previously known as Jefferson Village, Maplewood was part of South Orange until 1922 when it became independent. In the early 1800′s the town consisted of large family farms as well as grist, woolen and paper mills. With the arrival of the railroad in 1860, the area began to develop into a residential community. Nothing much has changed here in 30 years. Sure, there is an art gallery and many sophisticated, upscale shops and restaurants in town, but there is also an old-fashioned luncheonette, where neighbors sit and talk. The four-square mile township is a vision of sidewalks, parks and tranquil streets lined with tall trees and Colonial and Tudor homes. It’s four-block downtown, affectionately known as “the village,” is filled with quaint, family owned shops. Even the downtown Kings – the smallest of the sixteen store chain is more like a country store than a supermarket. This small town atmosphere is what attracts people to Maplewood, along with the town’s natural beauty and amenities. Maplewood abuts the South Mountain Reservation – a 2,020-acre recreational preserve that includes picnic grounds and hiking trails. The town also has six parks and an award-winning outdoor pool. The scenery in Maplewood attracts people to this 4-square mile township, but a strong sense of community keeps tradition strong and neighbors close. A collection of Tudors, Victorians, and Colonials predominate most of the single family housing. Beautiful established landscaping is a common thread throughout. 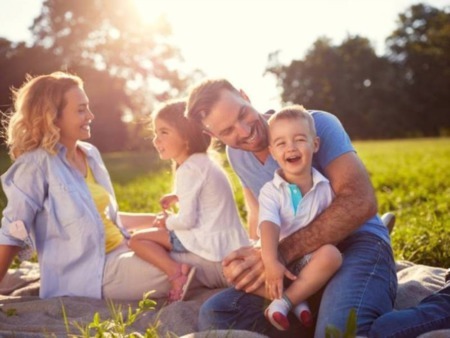 Money Magazine has designated Maplewood as one of the best places to live. ”Maplewood NJ is a favorite compromise for city people who also want good public schools and their own yards. The town has a palpable sense of community (there are close to 30 block associations in Maplewood and neighboring South Orange), and residents prize its diversity.” Maplewood is 18 miles from Manhattan and many residents commute daily by train. Convenient commute via New Jersey Transit's Midtown Direct Line into NYC. Currently it will take about 30 minutes to reach Midtown Manhattan. Maplewood's historic downtown, hosting many wonderful shops and restaurants, is a pleasure to take a leisurely stroll down, and do a little shopping or have a bite to eat. Maplewood has a well respected school district, ranked in the Top 50 out of 328 NJ public high schools by New Jersey Monthly Magazine. The hilly terrain, quaint downtown and classic residential architecture give Maplewood an historic feel unlike any surrounding towns. There is very little new construction in Maplewood. Rather, the existing homes are lovingly maintained and their historic architecture very much sought after and appreciated. Many properties have partial or full views of New York City, especially in the winter. Maplewood NJ is just 5 to 10 minutes by car to Route 78, Route 24 or the Short Hills mall, only 10 minutes to Union's Rt. 22 shopping corridor or 20 minutes to East Hanover's Rt. 10 shopping corridor. Newark Liberty International Airport is a close 15 minutes away. There are two primary shopping districts in Maplewood: Springfield Avenue and Maplewood Village. Both shopping areas offer a variety of unique specialty shops, service-based businesses and professional offices. 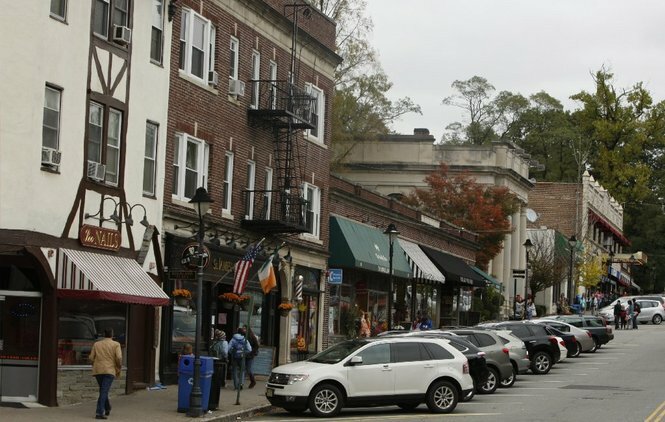 Maplewood's downtown is in close proximity to the South Orange and Millburn downtown areas. You can find just about anything you are looking for in a quaint downtown setting. If you ask anyone in the local area to name their favorite Maplewood restaurant, you will most certainly find Arturo's Osteria & Pizzeria on that list. Arturo's is committed to serving authentic Italian food with a focus on supporting NJ sustainable agriculture. The pizza is cooked to perfection in wood fired ovens and the other options on the menu are always a flavorful delight. You don't want to miss it but be sure to check the hours before heading over as they are closed between lunch and dinner. For fine French dining, Restaurant Lorena's must not be missed. Since June 2005, Chef Campos has been offering his interpretation of haute cuisine deeply rooted in french technique and inspired by the seasons. As an alumnus of the C.I.A. and a graduate of many renowned kitchens, Chef Campos has sourced the seasonal bounty offered up by the many local and organic farms throughout the state. Reservations fill up quickly so be sure make them one month in advance. For Italian dining in a more casual setting, you can't beat Village Trattoria. Well known for their specialty pizzas, they also serve delicious pastas, salads and sandwiches. And if you prefer to cook yourself, you won't want to miss Freeman's Fish Market on Maplewood Avenue (973-763-9363). Most of Freeman's fish is natural and caught in the wild and everything is prepared in a kosher kitchen. And there is a King's grocery store next door for everything else you might need. Although part of a larger chain, this King's feels like a small, hometown grocery. Buses and trains provide easy access to New York City as well as to Hoboken, Newark and Jersey City. 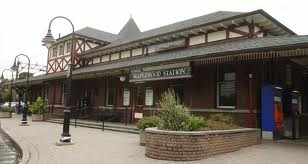 Located on the NJ Transit Morris & Essex train line (also referred to as the Midtown Direct train line), the Maplewood train station is a classic. Many homes are within walking distance which makes living in Maplewood even more attractive. Express trains from Maplewood take only 30 minutes to New York City. Relax, sleep or work on new double decker trains and arrive at work fresh and ready to start the day. Commuter parking areas are available for residents. In addition, buses pick up commuters at various points in town. Maplewood is a quick 15 minutes from Newark Airport and is close to major highways. Consistently highly ranked by New Jersey Monthly Magazine and other publications, the Maplewood school system has a long tradition of academic achievement and excellence. It offers a large number of advanced placement courses as well as diverse electives and extracurricular opportunities. The school district is shared with South Orange, and all Maplewood and South Orange students attend the same high school (Columbia). For more information about the Maplewood school system, please visit the Maplewood School District website. 1978 Maplewood Arts Center is a community space dedicated to the arts. The Center provides classes and workshops, art shows, film programs and live performances - and provides a forum for artists to work, exhibit and interact. 1978 Arts Center operates under the supervision of the Maplewood Township Department of Recreation and Cultural Affairs. Built as the First Church of Christ Science in 1925, this architectural gem was deeded to the Township in 1988 by realtor Jean T. Burgdorff, a Maplewood resident and patron of the arts. Located steps from Maplewood Village, the multi-purpose facility houses a 100 seat theatre and 1600 sq feet Community Room. Suitable for classes, performances and private functions, both spaces are available for rental to residents and non-residents of Maplewood Township. In addition to the theater productions and concert series, there are also several classes for children: improv, musical theater, and a class called the Fairytail Playhouse, where kids are cast in a "fractured fairy tale" and learn how to take their show from rehearsals to performances. The center can be reached at 973-763-9357. Maplewood Country Club, situated on 82 acres, is a versatile facility with a challenging 18 hole golf course, four clay and two “hard tru” tennis courts, a beautiful pool surrounded by an attractive deck, an elegant dining room and a comfortable grill room. It is a private club with approximately 400 members and enjoys a picture perfect location in the very heart of Maplewood. Electricity and gas are provided by Public Service Electric & Gas (PSE&G). Water is provided by NJ American Water. Garbage collection is provided at an additional charge by Waste Industries or Waste Management. There are various options available including a per bag rate. There is an active recycling program with pick up every two weeks. A drop off recycling center is located at 359 Boyden Avenue. Want more information about any of these Maplewood NJ homes for sale? Just click the "Request More Info" or "Schedule a Showing" button when viewing the details of that property. As New Jersey luxury real estate experts, we not only have access to the property disclosures and past sales history of each property, but the local knowledge to help you interpret them. We can also provide you with dates and prices of nearby homes recently sold in the Maplewood area, and more. Also, please consider registering for a free account -- doing so will enable you to receive automatic email notifications when new homes come on the market in Maplewood, NJ.